I graduated university and realized that although working for a corporation during my studies was a good experience as well as an easy source of moderate income, it was not something I would like to do in the near future. At the same time, I was asked to join a team forming a new company as a co-founder and technical lead and since I had always wanted to start my own company I could not have said no to that offer. They had already been developing Lumeer, a modern data definition and processing platform, for a few months when I joined the team. 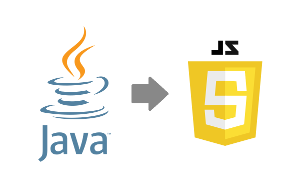 The back-end of this application was written purely in Java so I was able to start contributing almost immediately. However, the application was intended to be used by non-technical end-users which meant that the vast majority of the work would need to be done on the front-end side. A simple user interface based on the latest version of Angular was already being developed. Since I was supposed to be the technical lead responsible for the whole development process but did not have much experience with front-end, I knew I had to become pretty good at it in order to do my job well.